SPELL WORK BY LADI EM IS AVAILABLE BY REQUEST. Prices range from $40 + depending on the type of spell you would like Ladi Em to perform for you and the amount of material needed for such spell. 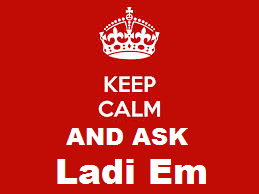 Contact Ladi Em at ladiemcauldron@yahoo.com with your request or call her at 832-228-0819. Payment can be made over the phone, through PayPal or in store. Check out what others have said about spellwork done by Ladi Em. If you have had Ladi Em do spell work for you, please comment below about the experience and outcome. Like anyone else at times we are skeptical . However sometihing keep drawing me to Ladi Em.. Her work is very efficitive , she communicates very well , and take pride in her work . If you need help her spell work is very effective and her readings are on target. I'm thankful for everything she has done and continues to do . A very compassionate honest woman who cares for your well being ..